So I hear it was a ho-hum schedule in college football this weekend... did I miss anything? Of course, I've caught up on the news roundup, and know I missed a helluva weekend. This week's high notes once again opens up the playbook to extend beyond just football and marching band. 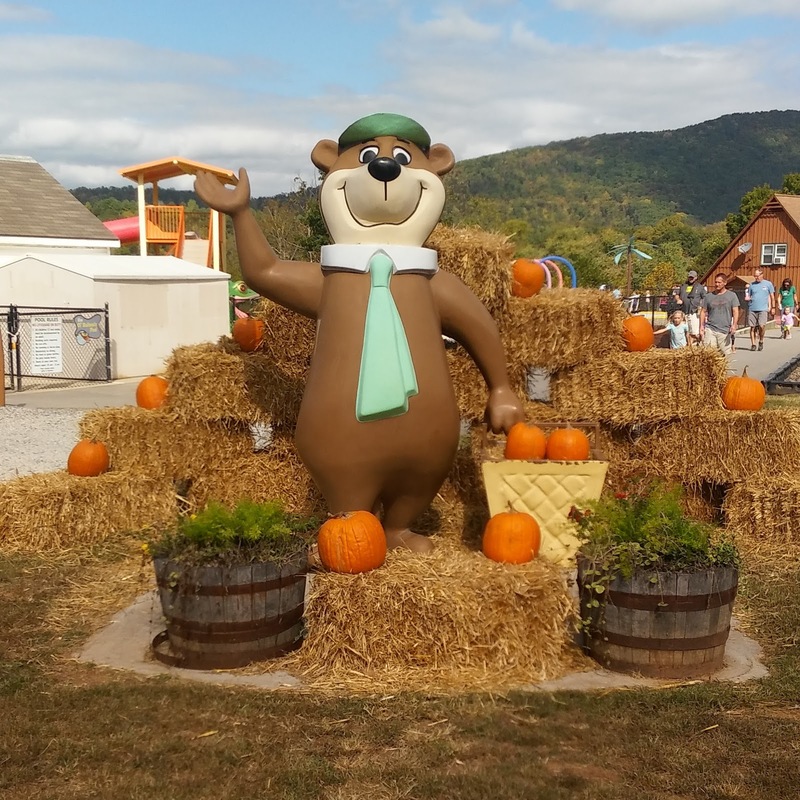 This weekend, my family, a friend of my daughter's, and I went up to the Yogi Bear's Jellystone Camp Resort in Natural Bridge, VA. The trip was made possible by having won a contest on RV Family Travel Atlas, and we used it for a bit of fall* camping. Why the asterisk? Because it was in the 80s while we were there. Frankly, while they had shut down for the season, they would have been well within their rights to get the water park going instead of the Halloween-themed goods. But we did get to enjoy trick-or-treating, a haunted trail, and fall crafts, and still hop in the river for good measure. And while up in the area, we checked out Natural Bridge State Park as well - newly minted as such from some previously private sites we had visited before, as well as the caverns, which we had not.